Indiana University’s Office of the Vice President for Diversity, Equity, and Multicultural Affairs (OVPDEMA) has named Karen White, IU South Bend’s associate vice chancellor for student services and dean of students, as the recipient of the OVPDEMA Distinguished Inclusive Excellence Award, a recognition of individuals who truly distinguish themselves in service of diversity and inclusion. During her more than 40-year tenure on the IU South Bend campus, White, who graduated from Indiana State University before earning her master’s degree at IU Bloomington, has garnered a deserving reputation for being a champion for students and a pillar in the local community. White’s responsibilities at IU South Bend have included serving as IU South Bend’s affirmative action officer, university-wide senior student affairs officer, Title IX representative, a member of the chancellor’s cabinet, and, leading the student services unit that provides programs and services to guide students to academic, social, and career success. Among the honors White has received for her dedication to IU South Bend and the city of South Bend itself include the 2012 Charlie Nelms Alumni Award, the IU South Bend Distinguished Education Alumna Award, IU’s E. Ross Bartley Memorial Award, the South Bend Human Rights Commission Award for Dedicated Service, induction into the South Bend Community Hall of Fame, and many others. 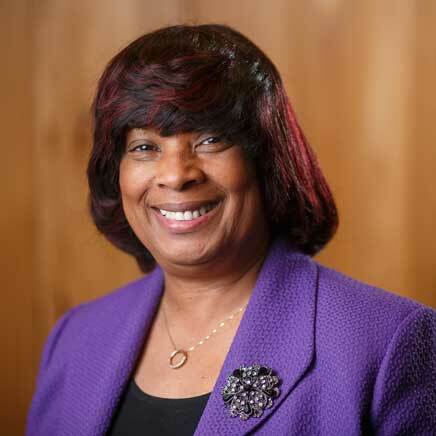 A South Bend resident since childhood, during her nearly three decades as a local elected official, White has been president of the South Bend Community School Corporation Board of Trustees and the South Bend Common Council, the latter of which she still serves as an at-large member.